Ellicott City's #1 restaurant according to TripAdvisor is just minutes from Townes at Pine Orchard! Grille620, a stylish steakhouse serving up New American cuisine, is a great place for a dinner that's close to home. Locals love the gnocchi, calamari and tuna tartar, but the premium steak dishes also pair perfectly with a glass of fine wine. The restaurant also offers one of the best brunches in town, complete with inventive egg dishes, a full bar of morning libations and a wood-trimmed dining room that makes a great place to relax. 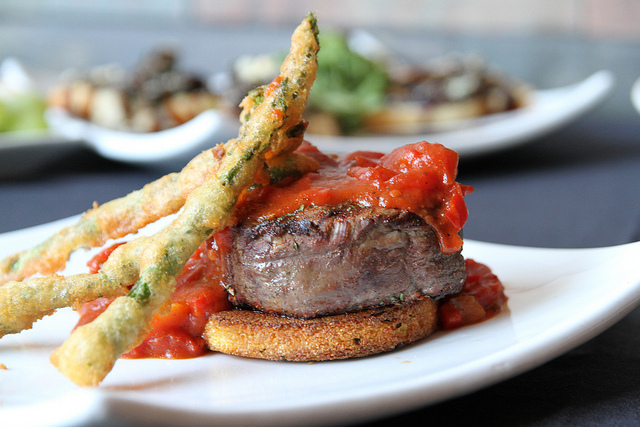 To see the entire menu at Grille620, visit the restaurant's website.